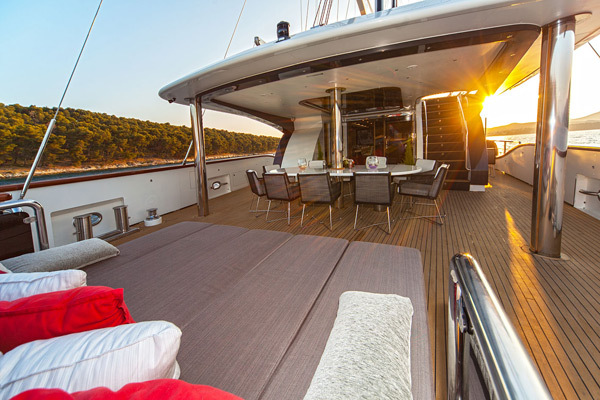 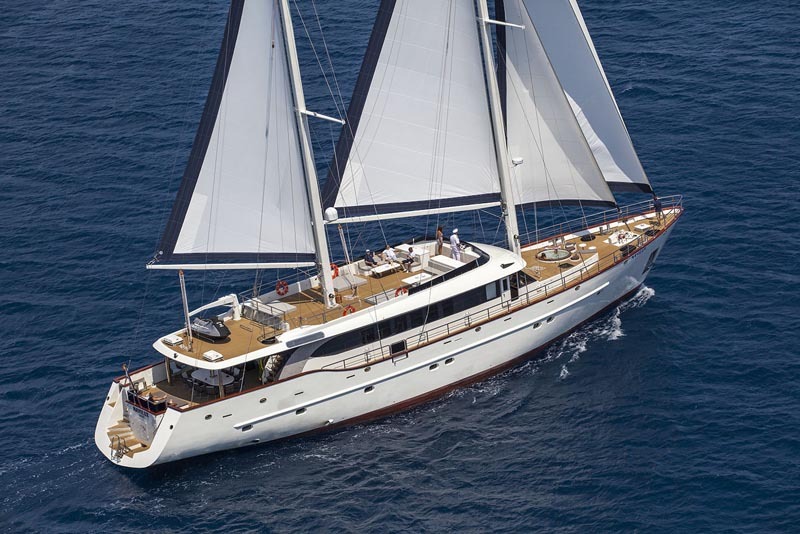 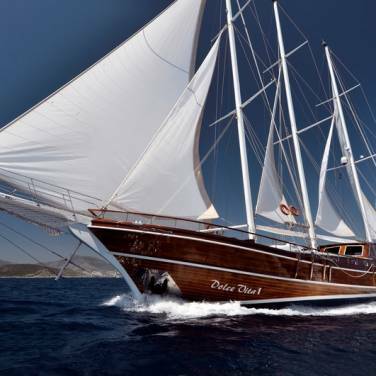 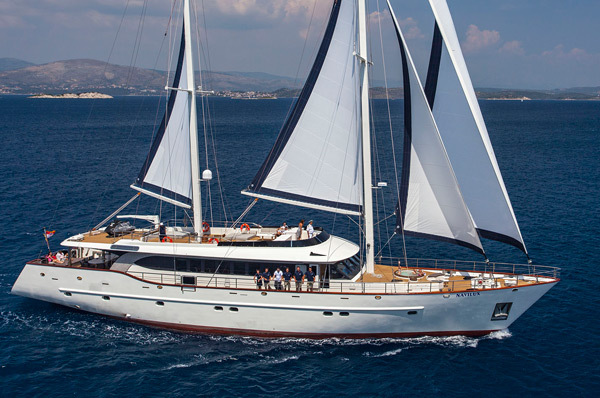 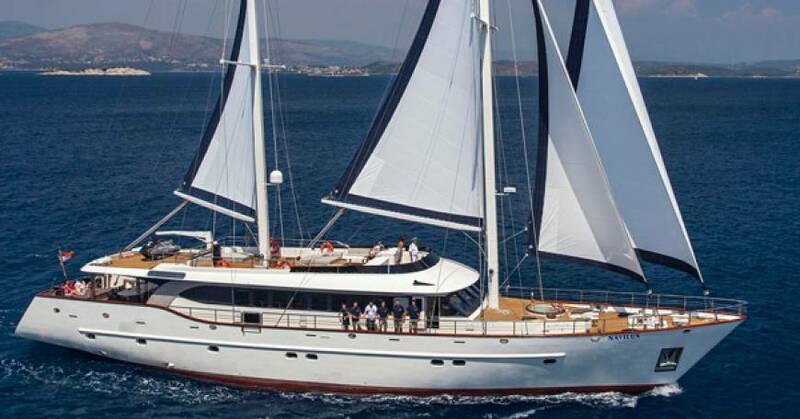 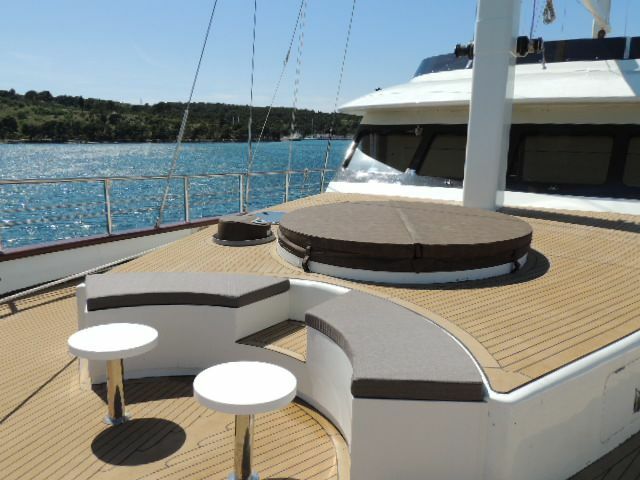 Luxury yacht Navilux appeared on the yacht charter market in 2011, offering an exclusive cruising adventure and an unrivaled sailing experience in the Mediterranean. 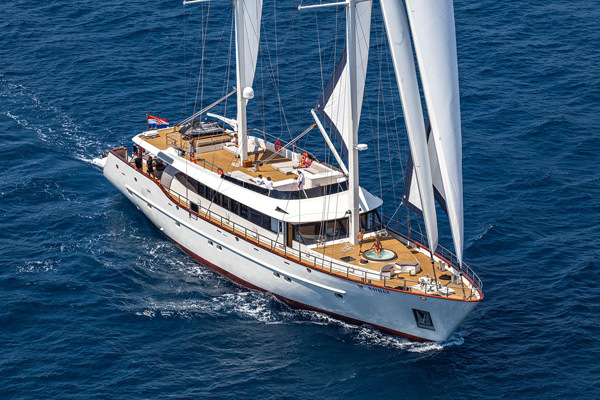 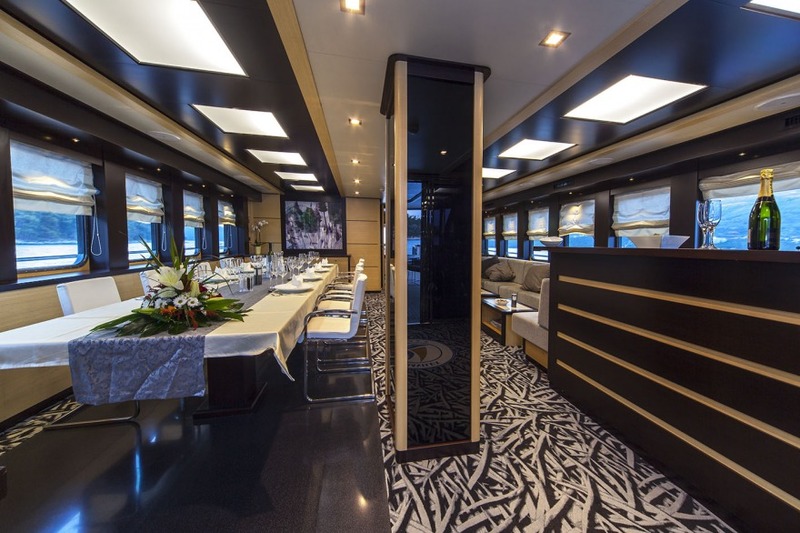 37 meters long, Navilux is a sight to behold, providing a high standard of accommodation to charter groups of up to 12 persons in its 6, impeccably furnished staterooms. 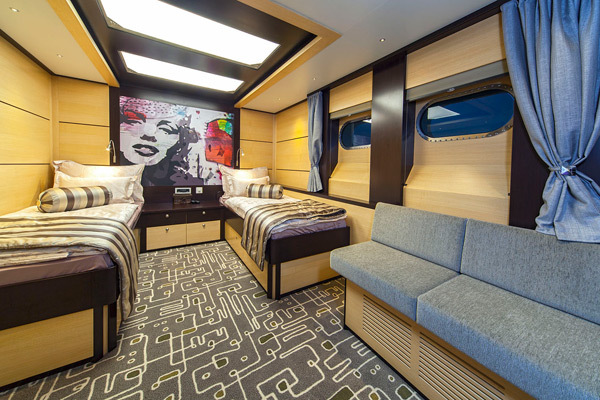 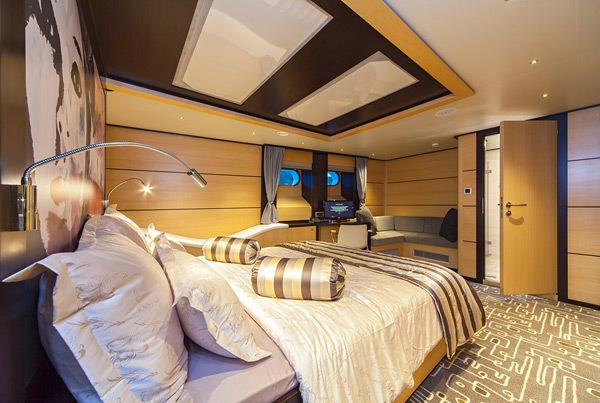 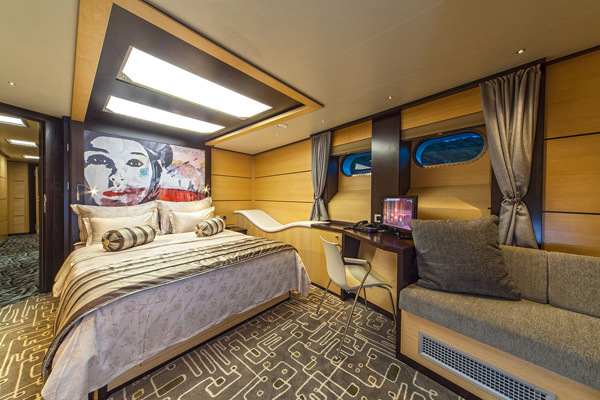 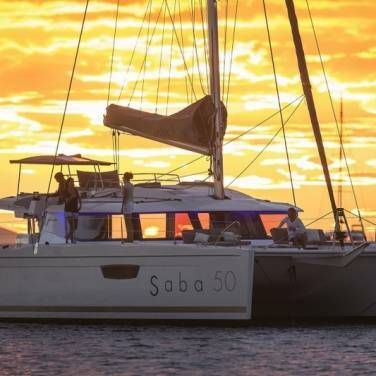 The guests may choose between 5 double bed cabins and one twin bed cabin, each fully air-conditioned and equipped with en suite facilities, a plasma TV, a safe, an interphone and a room service. 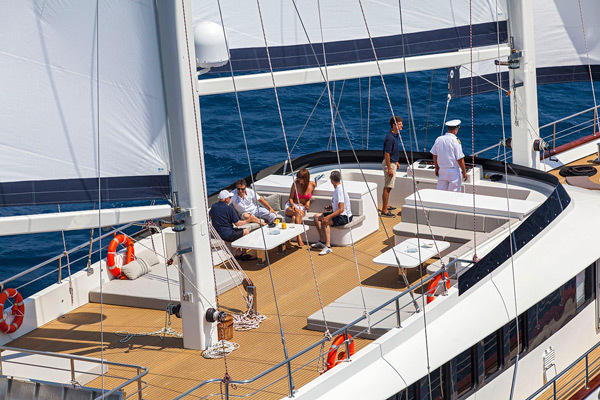 Combining classic features and cutting edge technology, Navilux boasts artfully designed living spaces, dedicated to the guests' complete relaxation and entertainment. 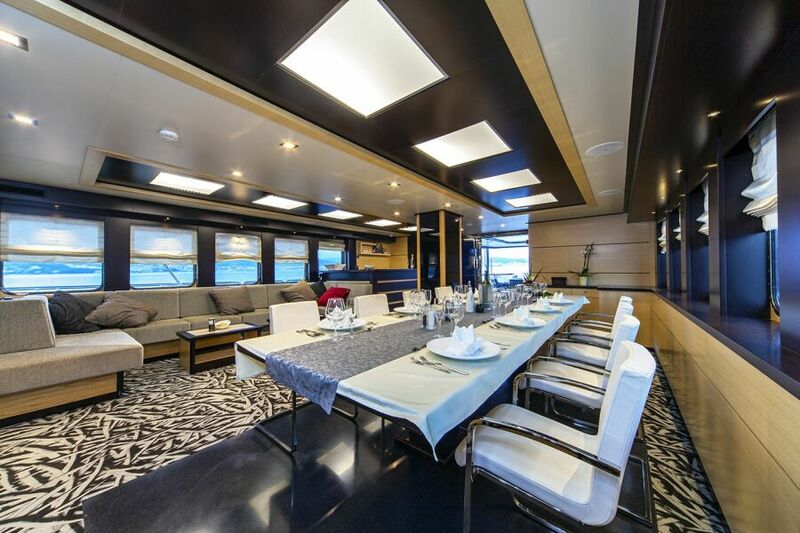 Comprised of a formal dining area and a lounge area with a bar, the main salon is decorated in a contemporary palette of silver and beige tones, complemented by dark wood finishes. 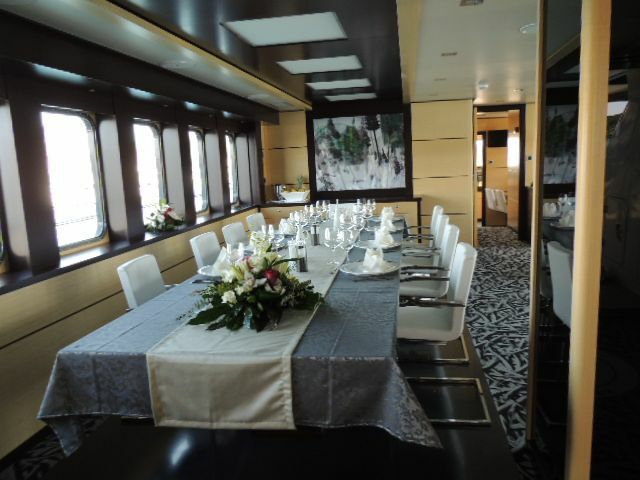 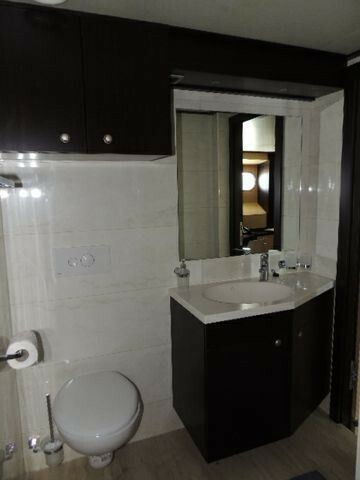 Moreover, it is equipped with all the amenities required for a highly comfortable and lavish cruise such as plasma TV, CD and DVD player, Play Station and Internet access. 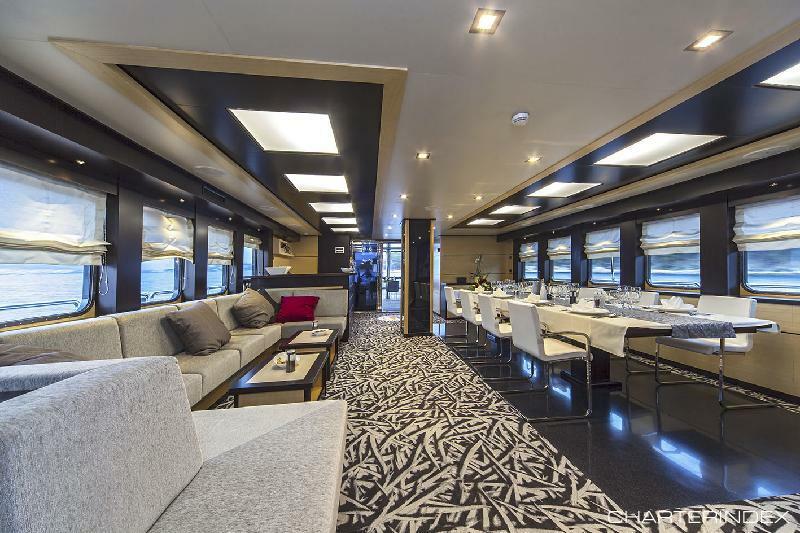 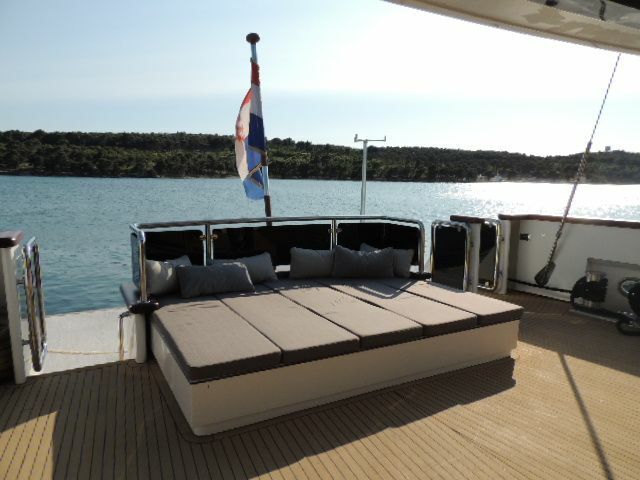 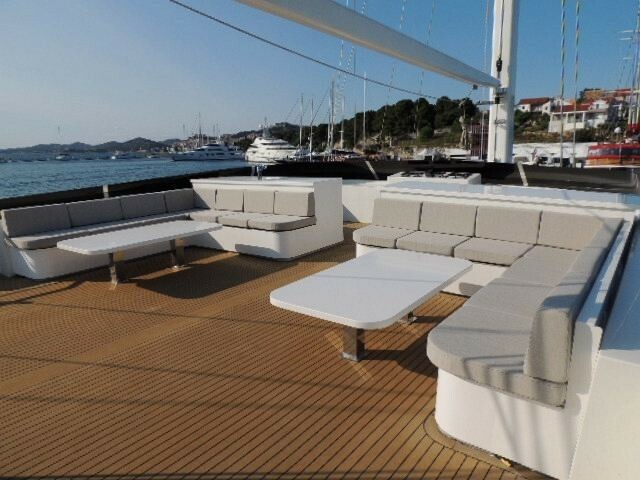 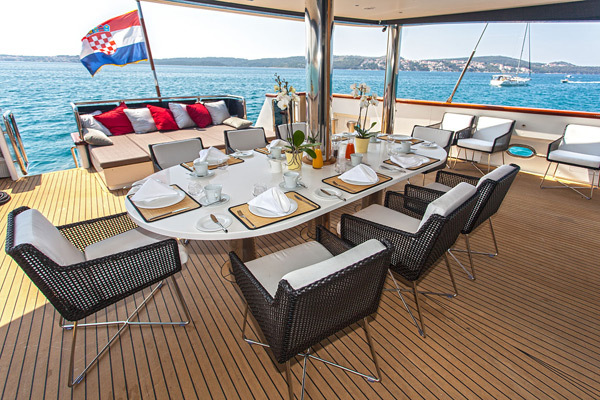 The yacht also boasts incredible exterior volume, there is a 41 m2 aft deck featuring a lounge area with cushions and al fresco dining area, where you can relish the signature dishes of the Mediterranean cuisine. 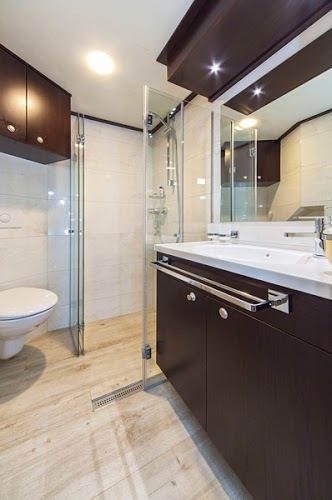 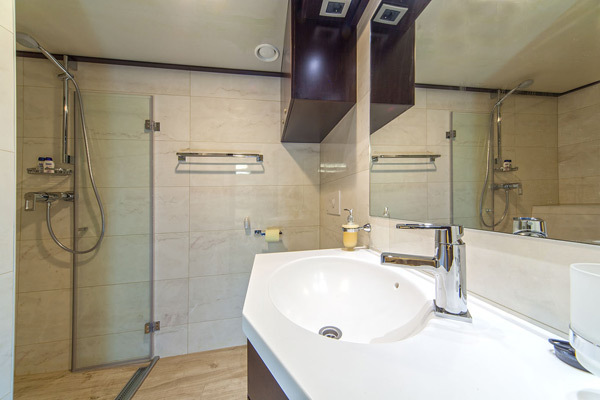 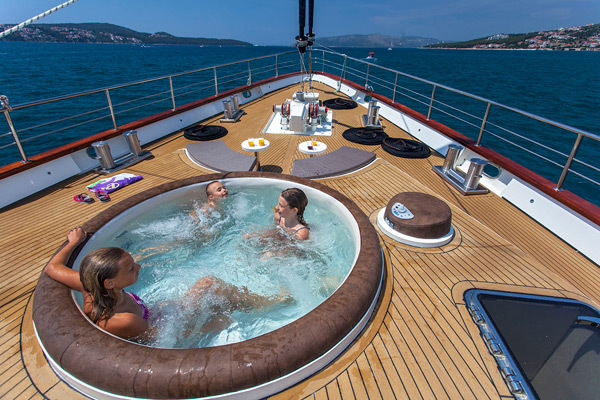 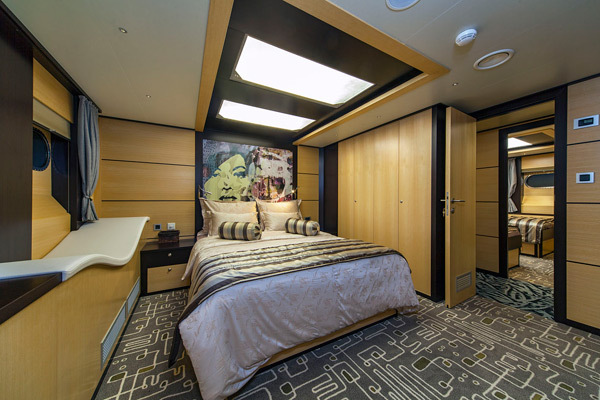 However, the highlight of relaxation would be a Jacuzzi tub for four located on the bow whereas another lounge and sunbathing area await you on the fly bridge. 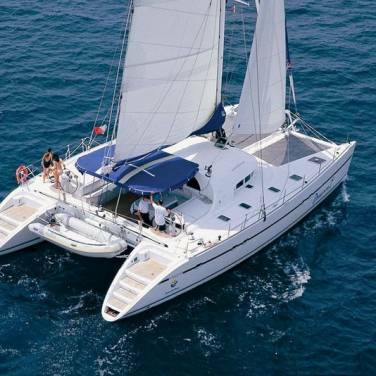 No luxury cruise is ever complete without exciting entertainment options and Navilux has a full complement of water toys available on board, from water skis, snorkeling and fishing equipment to Jet Ski and dinghy with an outboard engine. 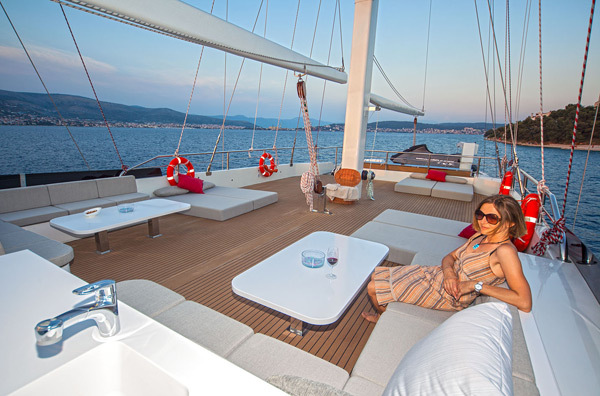 Your charter holiday begins from the moment you step aboard, where you will be welcomed by Navilux's attentive crew members, whose years of previous charter experience will certainly make every moment aboard count. 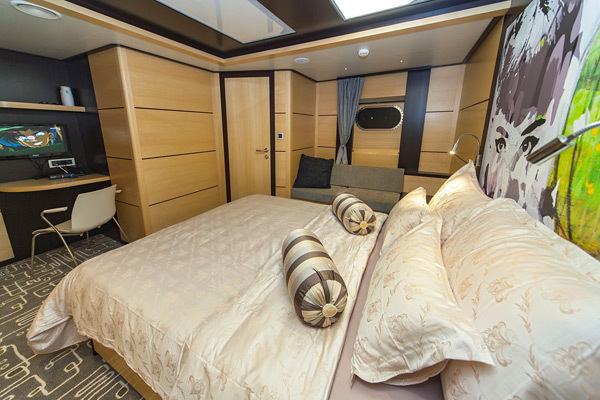 Great attention to detail has also been applied to crafting cruising itineraries. 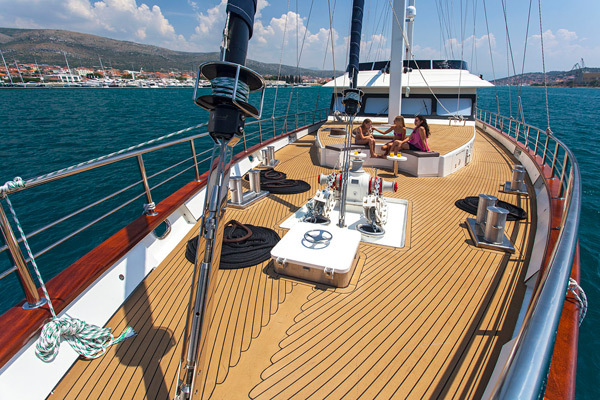 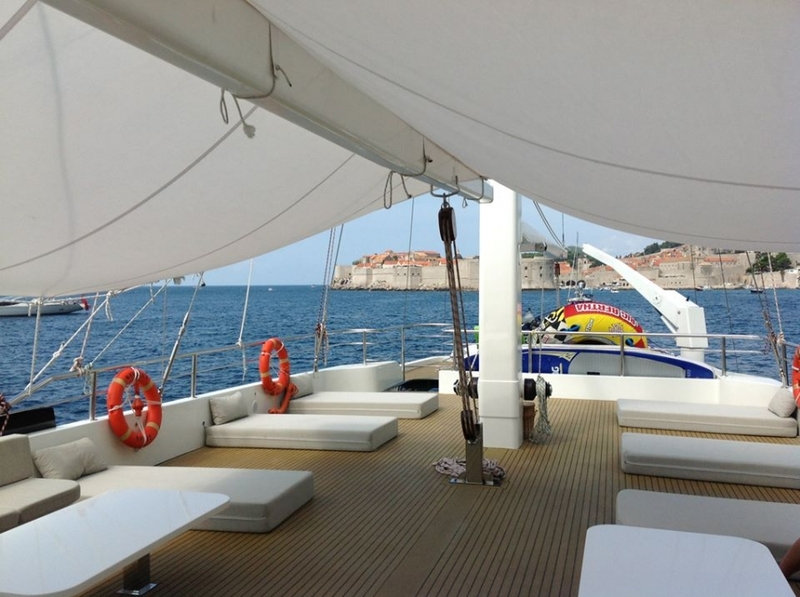 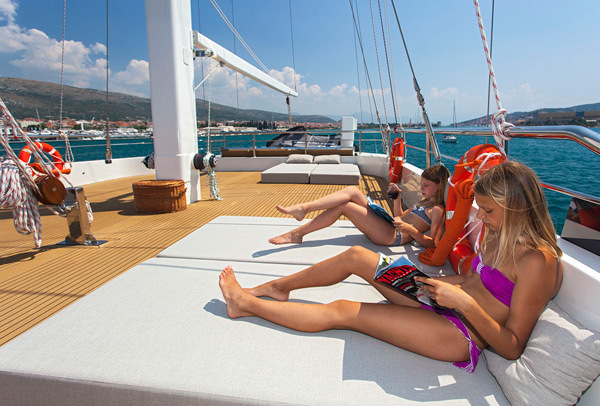 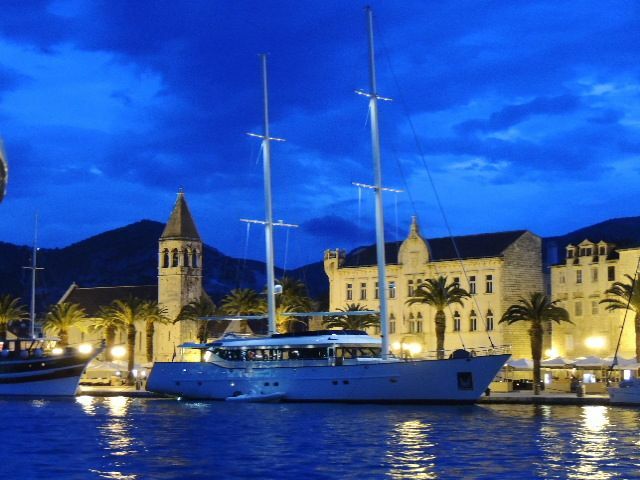 Carefully selected sailing routes encompass only the very best of the Adriatic coast, introducing you to cruising destinations of undeniable cachet and allowing you to experience the most prestigious and breathtaking hideaways and anchorages of Croatia, Montenegro, Greece and Turkey. 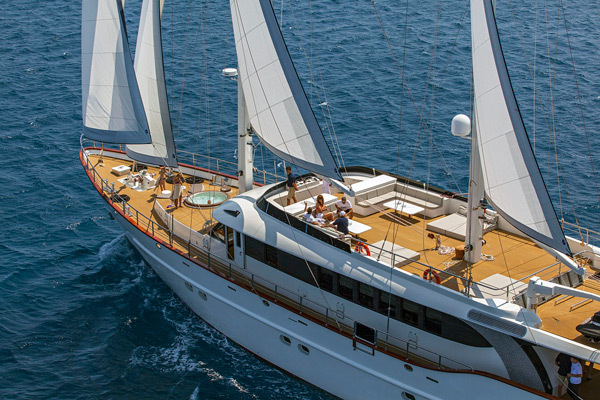 As one of the most sought after cruising yachts on the Mediterranean, Navilux is a floating haven of uncompromising luxury and comfort, offering a magic blend of authentic experiences and a new standard of cruising holidays. 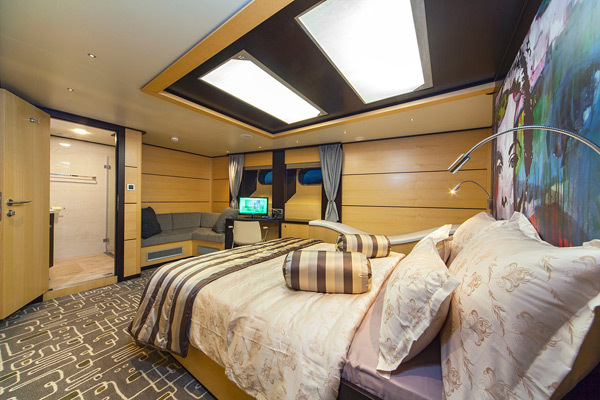 Separate galley with stainless steel oven, indoor grill, fridge, freezer, dishwasher, ice maker, coil.